For the first time users of the Mid-Continent Public Library system downloaded more than 2 million digital items in one year. That number places the Kansas City-area library in the top ten across the United States for most digital checkouts from libraries using the OverDrive platform. GLADSTONE, Mo. 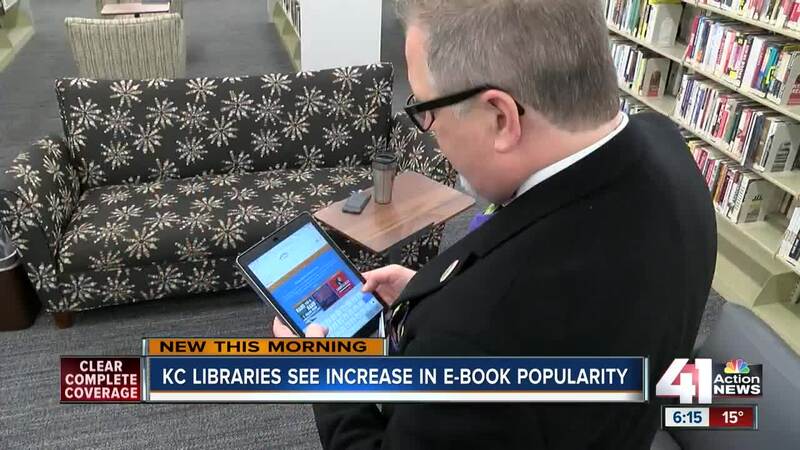 — For the first time users of the Mid-Continent Public Library system downloaded more than 2 million digital items in one year. That number places the Kansas City-area library in the top ten across the United States for most digital checkouts from libraries using the OverDrive platform. The up-tick in audiobook and e-book rentals is one of many ways libraries around the Kansas City area are evolving. In 2016, voters in the Mid-Continent Library jurisdiction approved their first property tax increase to benefit the library in 33 years, launching a $113 million plan to pay for renovations to the system's 31 branches and build two additional branches. “The idea was to take those warehouses and turn them from warehouses into places where people would come and create third space: not your home, not where you work, but a third place you can go,” explained Steve Potter, the director and CEO of the Mid-Continent Public Library. Other library systems are in step. Last fall, voters in Kansas City, Missouri approved paying more in their property taxes to support the library. In Johnson County, leaders opened a new library in Shawnee and are building one in Lenexa. 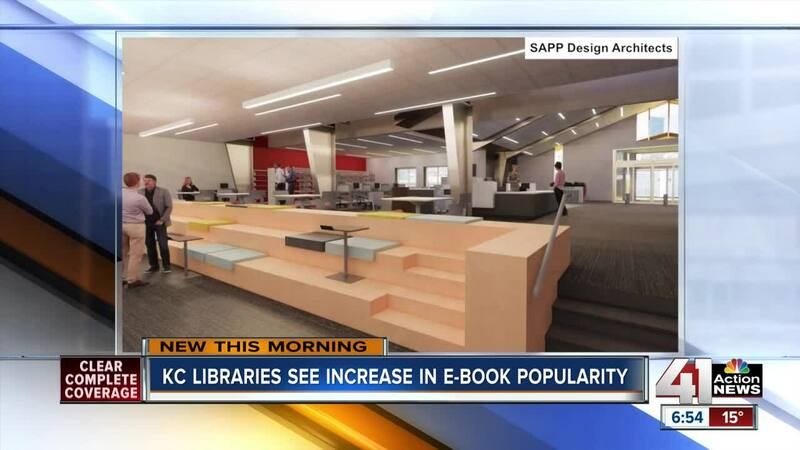 The Mid-Continent Library completed renovations at its Gladstone and Blue Springs South locations in 2018. They have more natural light, new, movable furniture and a wider layout. The CEO said the library doesn’t see change as a bad thing. “That's the way we approached it. We didn't see e-books as a threat to us, we saw it as an opportunity. How could we go out and to meet people where they are,” he said. While two million digital checkouts is a significant milestone, more people check out physical materials from the library rather than digital. That's proof for Potter libraries are just as relevant and a part of people’s lives today as they ever were. "Mark Twain said, ‘The reports of our death have been somewhat exaggerated,'" Potter quoted. "We are constantly moving, constantly connecting with people whether it's within our four walls, or outside our four walls, and doing whatever we can to help people solve that next problem in their life." The Mid-Continent Public Library operates branches in Jackson, Clay and Platte counties, Missouri.